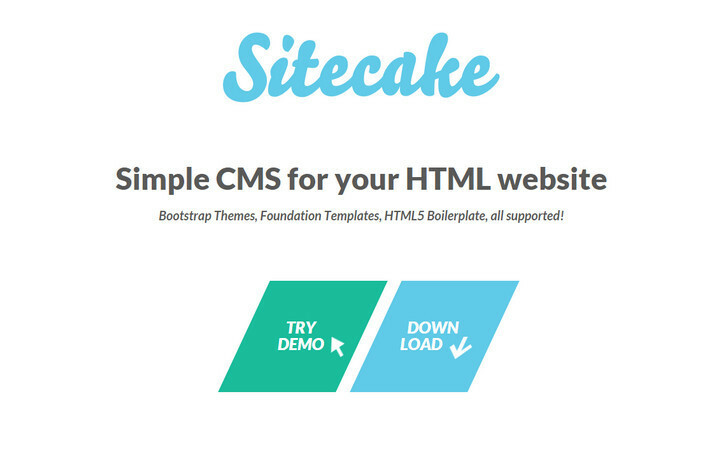 Sitecake is an easy to use CMS (Content Managament System) for small websites, with a WYSIWYG, drag&drop editor. A standard web hosting packet (a web server and PHP 5.4+) is all you need to install and use it. Sitecake reads, modifies and saves changes in regular HTML files. No PHP or template language knowledge required. All changes are saved directly in HTML page, all images in file system. Once you finish editing you still have a static website. It’d be nice to be able to test the demo, but there is no password provided anywhere.